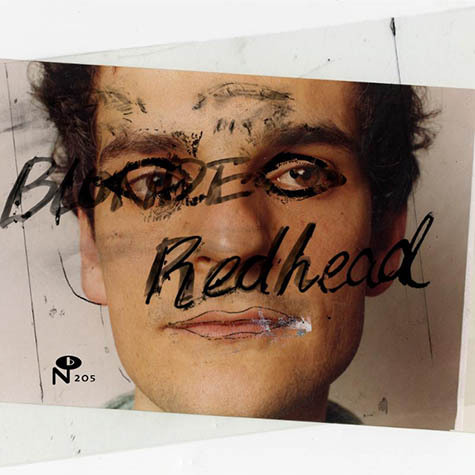 Letters From A Tapehead: Blonde Redhead: "This is the number of times I said I will but didn't (4-Track Demo)"
Blonde Redhead: "This is the number of times I said I will but didn't (4-Track Demo)"
At the end of September, Blonde Redhead will be releasing Masculin Féminin, a 37-track compilation featuring the band's first two releases (s/t and La Mia Via Violenta) along with singles, demos, essays, and unseen photographs. Masculin Féminin is being released as part of the 200 Line series, a faction of Numero Group's archival endeavors that specializes in the forgotten recorded artifacts from the DIY era. You can listen to the track below or check out the Black Book article. There's also a trailer announcing the release. Information and links were provided by Force Field PR. Teeming with the energy and grit of pre-Giuliani Manhattan, Blonde Redhead's long out-of-print early recordings have finally crawled their way out of the '90s basement thanks to Numero Group who will issue a 4LP / 2CD set on Sept. 30. Weighing in at 37 tracks, Masculin Féminin compiles the band's first two albums for Steve Shelley's Smells Like Records (self-titled and La Mia Via Violenta), their period singles, extant demos, and radio performances across four LPs or two CDs. Dozens of previously unpublished photographs illustrate two lengthy essays on this essential New York band's formative years. This is the latest installment in Numero Group's 200 Line series which has also included releases from Unwound, Bedhead, Codeine, White Zombie and The Scientists.